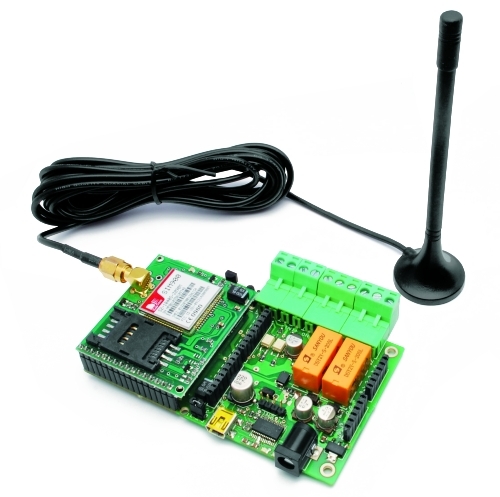 "The remote can be operated by commands sent by SMS, but you can also control it via the serial port (connected to USB converter). Each command is followed by a response (via SMS) directly to the sender, but the answer may be disabled. In addition there is an alarm function, as the automatic sending of SMS or voice calls, based on conditions on each of the two inputs. The circuit can also be used as a gate control, calling the SIM in the TiDiGino: the system recognize the calling number and if this number is stored the relay will switch on. In the DTMF mode, the remote control can be controlled by a multi-frequency telephone tone. In addition, the circuit can operate as a thermostat, running an air conditioning system." Did anyone try to fly a drone with this module? Doesn't sound super doable..